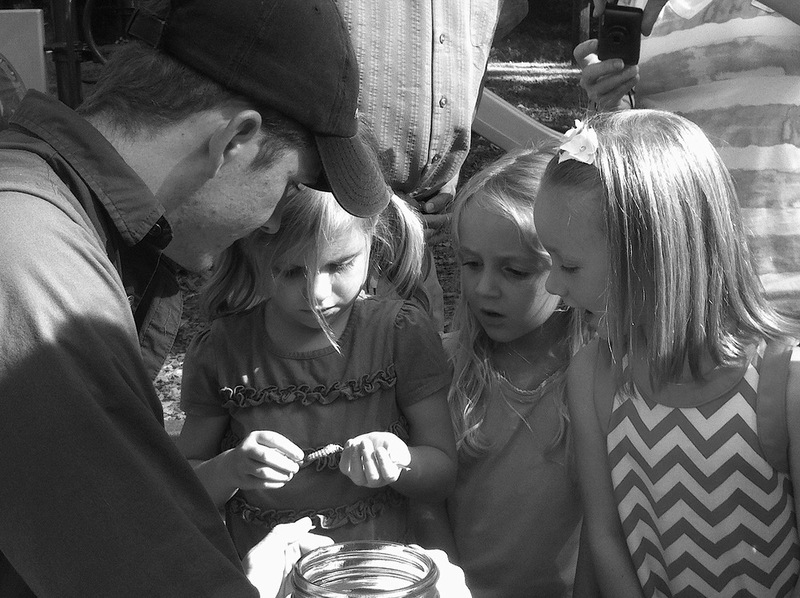 Holding live butterflies at a bug themed birthday party. Sharing the amazing stories of nature with kids (and adults) is a special privilege. If you are looking for someone to speak about insects, dinosaurs, or faith and science issues, please contact me at jblaschke@uu.edu. Identifying aquatic invertebrates with a high school environmental science class. After an engaging conversation with a first grade class about dinosaurs and birds (with Dr. JR Kerfoot).